April 12, 2019: Comairco acquires a business partner in New Hampshire, and Massachusetts, expanding its operations in the Northeastern U.S.
Comairco Equipment Ltd. is a major distributor of electric and diesel compressors in North America. An official Sullair Distributor, Comairco announces the acquisition of D.R. Guilbeault, a Sullair distributor in the U.S. state of New Hampshire and Massachusetts. Founded in 1986 by Don and Cyndi Guilbeault, D.R. Guilbeault Air Compressor, LLC has more than 24 employees at two different locations. Like Comairco, D.R. Guilbeault aims to provide the best possible service and support to its customers. This is possible thanks to the dedicated service department, made up of staff that is properly trained by leading manufacturers, and to the outstanding expertise of its devoted sales team. Comairco’s acquisition of D.R. Guilbeault is great news for both companies. By combining their strengths and sharing years of experience in compressed air, Comairco will be able to position itself as a major player in the northeastern United States. Comairco will continue its operations, keeping the same staff, management team and branches, and will benefit from all the support of a major distributor, in terms of inventory, reputation and technical knowledge in the industry. Founded in 1972, Comairco quickly established itself as the solution for all compressed air needs in industrial centres. 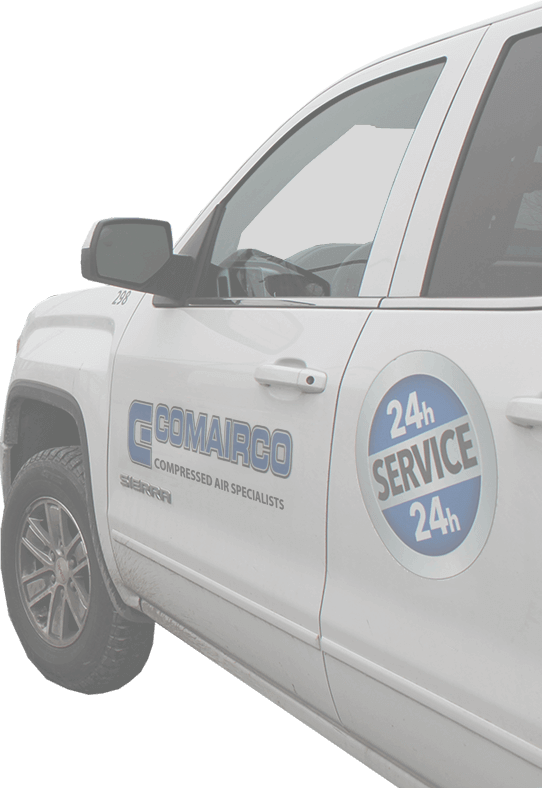 Comairco is a respected distributor that also offers exclusive solutions to rebuild air compressors. It is headquartered in Buffalo, New York, and has been operating in two U.S. states since the 1990s. Comairco is also present in eight Canadian provinces, with nearly 225 employees in over 20 branches. This expansion into New Hampshire and Massachusetts is an indication of growth. The entire Comairco team would like to extend a warm welcome to all D.R. Guilbeault employees. For any questions regarding Comairco’s acquisition of D.R. Guilbeault, please send an email to info@comairco.com.